The Versamet 4 is a new inverted metallurgical microscope designed to support a variety of observation methods including brightfield, brightfield/darkfield, polarized light and DIC. 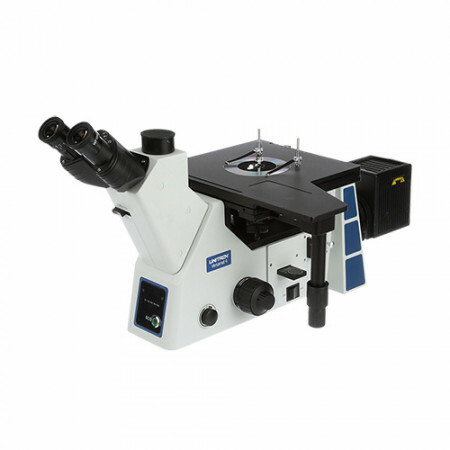 This versatile and configurable microscope is widely applied in metallurgy, smelt, heat treatment, raw material inspection, material processing, food safety evaluation, medical/clinical testing and geological testing applications. The advanced LWD M Infinity Plan Achromatic optics provide outstanding image resolution and clarity, while the ergonomic viewing head and low-position focus knobs and stage controls offer stable and comfortable operation. The smart ECO system saves energy by automatically turning the illuminator off when the microscope is not in use. Digital capabilities make the Versamet 4 Series an outstanding choice for today’s modern metallurgist.